So I got a bunch of money for Christmas and my birthday and put some of it towards some new pedals, and I found some sweet deals on Reverb. 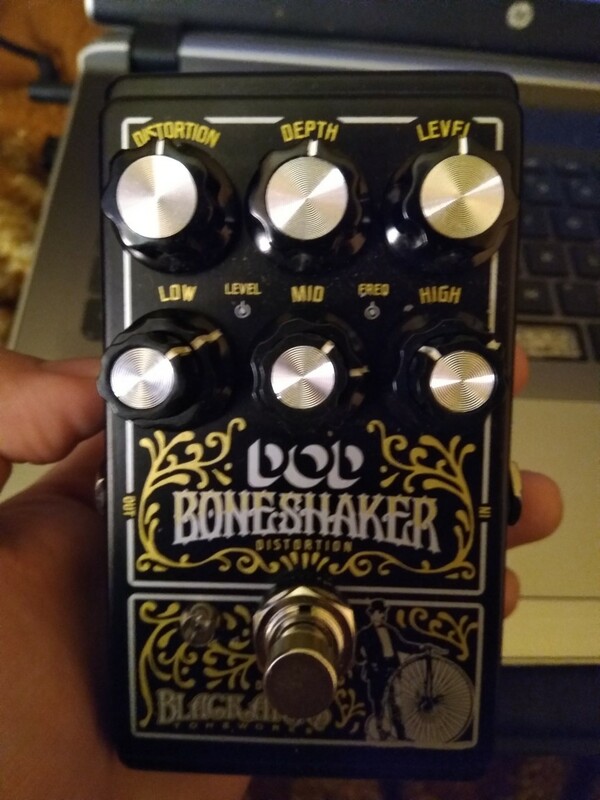 I got myself a DOD Rubberneck, a DOD Boneshaker, and a Boss Phase Shifter. So I got the Boneshaker last friday, which gave me some time to work out the EQ, and now i've got a good sound going on. What surprised me the most was how light the distortion actually is at normal unity gain settings. It sounds much more like a medium overdrive up until like 12:30 up the distortion range, where it starts to ramp up quickly until the 3:00 point, where it maxes out. Anything past that is too noisy to be actually good. Down at noon and before it all sounds the same, but pushing the level past unity quickly adds extra saturation and sounds super nice. It also stacks really well with other distortions nicely. This is now one of my new favorite dirt pedals ever, I've got a good and full sounding setting going on with some humbuckers. I was also able to find a fun lofi setting for making it sound like I'm playing through an AM radio. Now earlier today, I went to the post office to sign for and pick up my phaser, and I've found that it not only works really well in front of the Boneshaker, but just generally is really nice at making my guitar go swoosh swoosh swoooooooosh, especially in front of some delay, Boneshaker for extra spice, and thick modulated reverb, it gets dumb shoegazey. Really fun for adding texture in once in a while. I'm gonna play with it a bit more tomorrow. The Rubberneck is expected to arrive on Thursday. 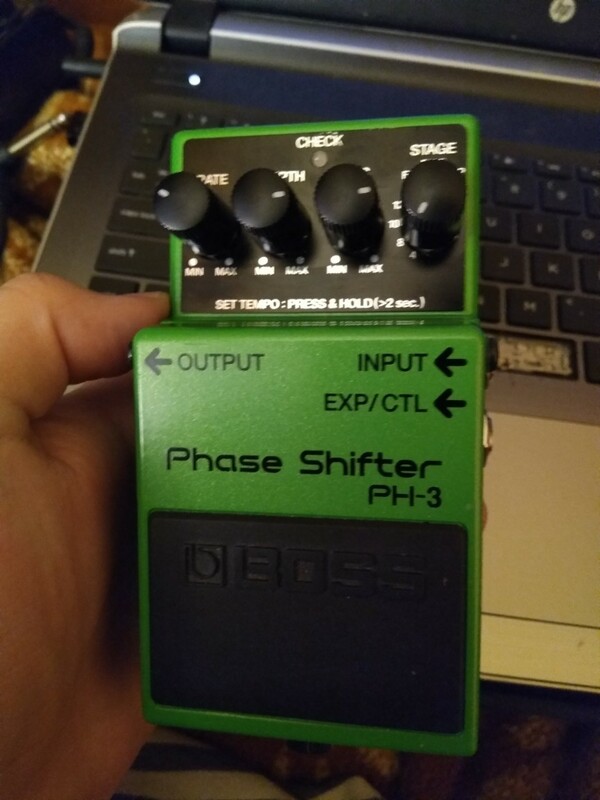 I'm gonna give it a couple days with the pedal before I decide to pull the plug on a TRS y cable for the effects loop, throw the phaser in there, or the Behringer pitch shifter I've got kicking around every once in a while.